I was invited to a lilac blogger event at Kens Apothecary at Bangsar Village II a few weeks ago. 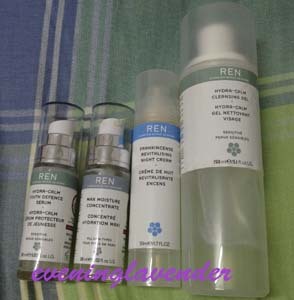 I am not new to REN as I have used some of their skincare products before and am currently using their serum and moisturiser. 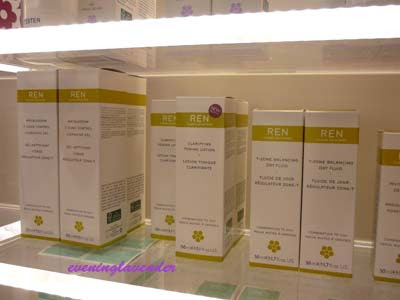 Terry Tian, the Brand Manager has kindly explained the REN skincare range to us. 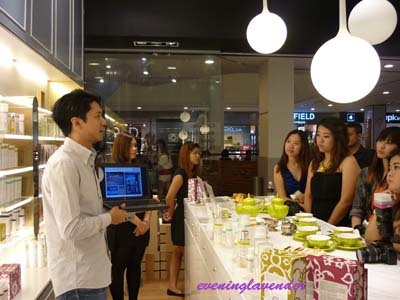 He is very knowledgable and helped to answer many questions thrown by the bloggers. 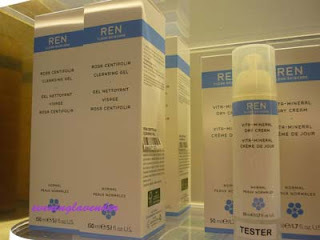 REN was created in September 2000 by Calcraft and Buck. 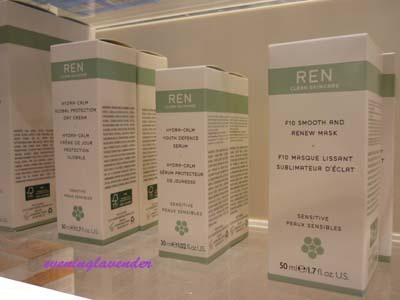 The creators extolled the concept of “Clean Skincare” and named the brand “Ren” which means “clean” in Swedish. Bio science is key to making increasingly effective products that will help achieve and maintain beautiful, healthy skin. The brand also does its bit to minimise the use of the world’s limited natural resources by donating a minimum of 2.5% of its profits to campaigns that promote a better environment and life for the less fortunate. “Organic”, as a term, is principally understood as the growing and preparation of food products without the use of chemical fertilisers, GM ingredients and chemical additives such as preservatives and colourings. These days, the term “organic” is being applied to skincare products as well to refer to the use of essential oils and vegetable oils. 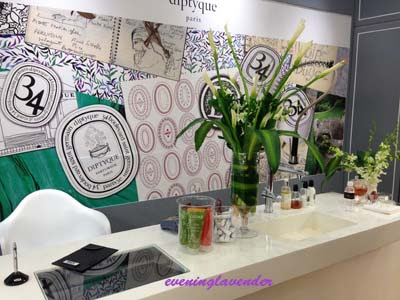 According to the press release, “it’s impossible to make skincare products with just essential oils and vegetable oils. It’s in the area of the other ingredients necessary in skincare such as emulsifiers, stabilisers, preservatives and so on, that the term ‘organic’ is harder to sensibly define”. 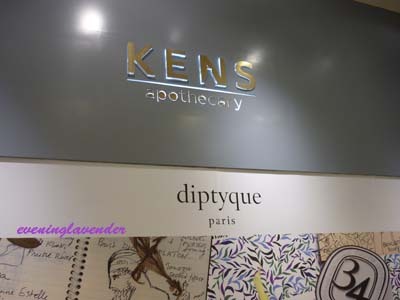 Therefore, the brand’s approach is to make clean products that are free from skin-unfriendly ingredients routinely used in the skincare industry today. The brand sources organic essential and plant oils wherever possible, and uses a significant number of organic plant extracts and oils. It is working to ensure that ultimately, all the plant extracts and oils used are organic. High Tech Bio-Actives and Effective Natural Ingredients without using skin unfriendly ingredients. Bio taken from the word Biology: means from the earth. Active means “scientifically proven to be effective”. Clean - Free from potential skin irritating ingredients to restore comfort and balances the skin while respecting the eco-system of the skin. 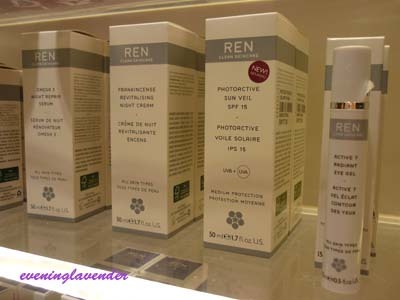 To boost the skin’s natural ability to Protect, Repair and Renew itself, leaving it protected, Healthy and Radiant. Bio taken from the word Biology: means from the earth. Active means “scientifically proven to be effective”. 1. I like their Hydra Calm cleansing gel - it's very mild and when my skin is irritated/itched when using the wrong paper mask, I would use this cleansing gel to sooth my skin. It did a great job. I like REN because their skincare is free from synthetic fragrance and colours, petrochemicals, propylene glycol, animal ingredients, GM (genetically modified) ingredients, sulfates and parabens. However, I am struggling to use up the Omega 3 Night Repair serum as it has a fishy smell. Have a Happy Day! 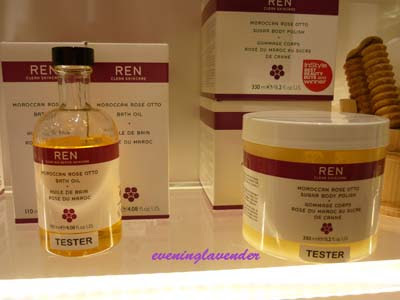 Have you tried REN before?